​Turtle River School Division is very proud to offer the French Immersion Program. 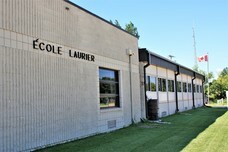 École Laurier is the only school in the Turtle River School Division that offers a French Immersion program. École Laurier is a small, family oriented school which students from Jr.Kindergarten to grade 8 are taught exclusively in the French language with exception of English Language Arts and Band. There are so many benefits of learning a second language, please see the links below to learn more or contact the school.